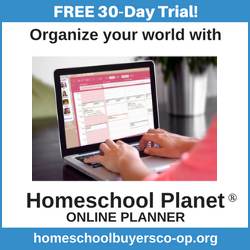 Do you get overwhelmed when you think about going back to homeschool? Maybe you haven’t found just the right curriculum, or you don’t even know where to start. I hope you will check out these books that I turn to when I need encouragement and direction. These are books every homeschool mom should read before the new school year starts! It’s back to school time! It’s that time of year that I dread and long for all at the same time. I look forward to the routine and learning with my kids, but I don’t look forward to the complaining and reminding that inevitably happens. It seems like homeschooling brings out the best and worst in both me and my kids sometimes. It reminds us that we are sinners in need of grace. So I have some favorite books I turn to to help me be a better mom and homeschool teacher. I want to share some books that make my school year go a little more smoothly, and help me be the homeschool mom I want to be. I first read this book when my oldest daughter was just a baby, and I have used the principles for many years. In this book, Dr. Leman helps parents to apply logical and natural consequences to help their child want to obey. I have found the principles to be highly effective as long as I am consistent, so I occasionally re-read this book to motivate me to be a better mom. Dr. Leman also wrote the highly-acclaimed Have a New Kid by Friday. It’s another great parenting book and I highly recommend anything Dr. Leman writes! I think I was about 12 when Jim Trelease came to our small town high school and spoke about reading aloud. I remember listening in awe as he read a chapter from James and the Giant Peach. His presentation made a huge impact on my young heart and mind and I determined right then and there, that I would read aloud to my kids someday. This book has sold millions of copies and is in it’s seventh edition. You should run out and get it TODAY if you haven’t read it! A few years ago, I was able to attend a Teach Them Diligently Conference, and as a newly single mom, I felt overwhelmed and exhausted. I cried through several sessions, including the workshops by Brooke McGlothlin. People probably thought I was crazy, but she was speaking directly to me when she talked about being a weary mom. And mess? Boy, was I a mess! I was so encouraged by her assurance that God would meet me in my mess, and would be there for me when I felt all alone. There are so many days when I don’t know how I can do this, so I pull out my book and remember that God will be there. If you have ever been a weary mom, this is the book for you! This is another oldie, but goody! I often listen to the Focus on the Family radio show, and I am amazed by this lady every time she is on the show. She was the first one to put into words for me why I learned differently from my brothers. Why I excelled in spelling and literature, while they were better at math and science. I have found her insights to be so helpful now with my three kids, and I find myself going back over and over! I have been a HUGE Sarah Mackenzie fan since I found her Read Aloud Revival Podcast a while back. This book encourages moms to not focus on the curriculum, but on the good and beautiful things in life. You can teach from rest, and not be constantly worried whether your kids are learning enough!